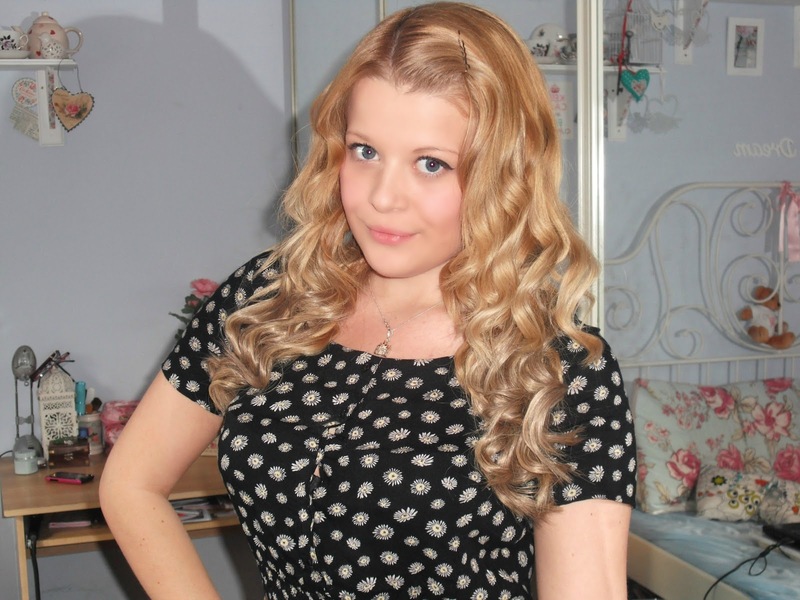 I have been lucky enough to try out some clip-in human hair extensions from Hairtrade.com. 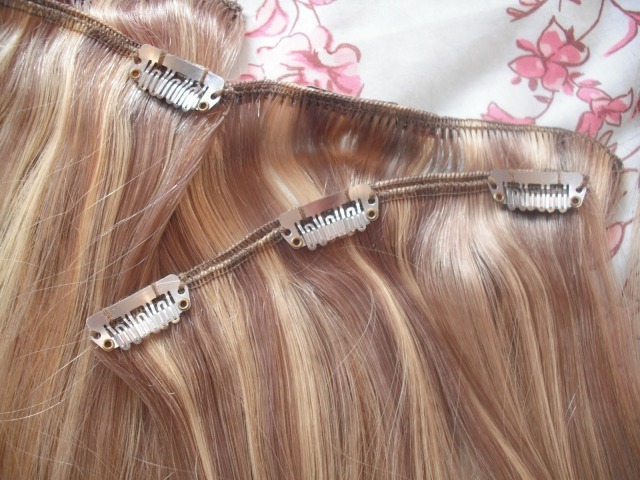 Hairtrade.com provide a wide range of hair extension products and over 40 beauty, hair care and hair electrical brands. They have low prices, high quality products, prompt delivery and great customer service. 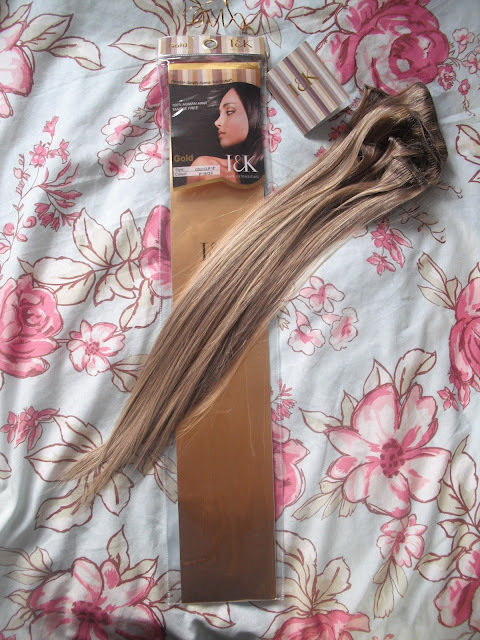 I chose the 18″ I&K straight clip-ins in shade 18/22 which is an ash blonde colour with lighter blonde highlights. I thought this was best suited to my hair as my hair isn’t bright blonde and it does have some (old) highlights running through it. Hairtrade.com sell this set for £59.99. The set came with x2 6″ pieces, x2 8″, and x6 individual small pieces, all with clips attached, and then 2 spare pieces that came without clips. 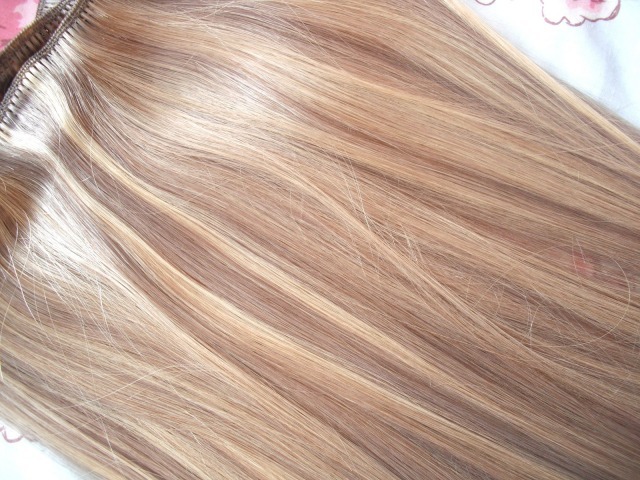 The I&K hair extensions are made from 100% high quality human hair. The extensions feel so soft, and after giving them a brush to remove the stray hairs (quite a few came out), the majority of the hair is then strong. I was a bit worried that they highlights were very prominant in the extensions, but once they are in place, the highlights merge to give a much more natural look. I followed the helpful instruction video from the Hairtrade.com website, which showed you to first section your hair low down, and clip on one of the 6″ pieces. Then you section your hair a little higher up, and then clip in the other 6″, and then repeat the process above these for the two 8″ pieces. You then clip the individual strips onto the sides of your head to cover all over. As you can see, the extensions are very long, and not very well blended into my hair as my hair is feathered at the front. Therefore I gave the ends a trim to look more natural, and also tried to feather the extensions around the front of my hair so that it blended better. This worked well, the only negative is that I will have to check which pieces go where next time I put them in, as they are different lengths. 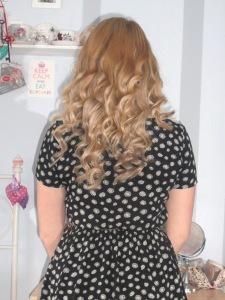 I then decided to experiment by curling my hair with my Remington wand, to see if my hair would blend better. I love the results! I think it looks amazing! This is exactly the type of hair I’ve always wanted, and I couldn’t be happier with this look. It looks much more natural than when it’s straight, and it isn’t too long, but still a fair few inches longer than my natural hair. What do you think? Which look do you prefer? 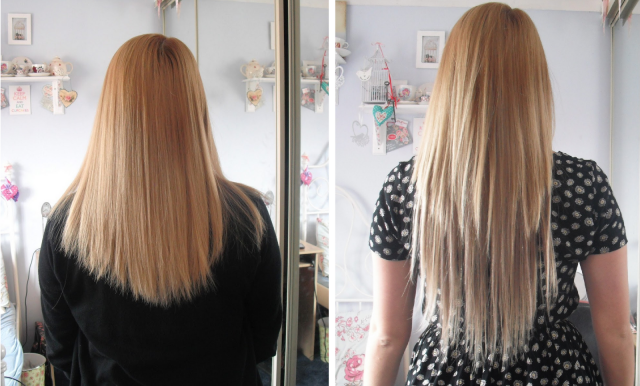 Curly or straight I&K Hair Extensions? Do you think I could pull these off for daytime/a night out? Curly hair looks beautiful on you! 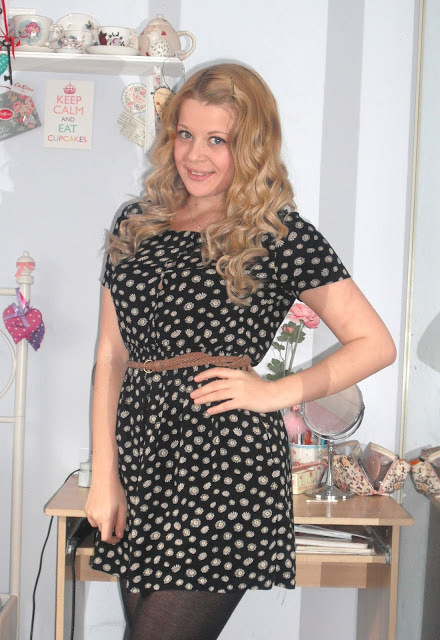 You look stunning in both, but curls look so nice! The curls look a lot better! They look really natural when you have them curly, it looks amazing! I remember you writing about it, but which model do you have? They look lovely curled, think they blend better as well. I'm so tempted to get extensions my hair is taking FOREVER to grow! I'm gonna have to agree with about everyone else, looks great curly! Thanks for sharing! The curls look amazing. Love this look, and crazing longer hair now!! Wow, they're SO much better curled. Your hair looks amazing! This Human Hair Extensions reminds me of my Grandmother because she always wears that every time we go out for shopping. The curls are absolutely gorgeous – I am so jealous, got to go in hospital for spine surgery so have had mine hacked off to about an inch so it doesn't get like rats tails in bed!! The hair extensions looking natural. 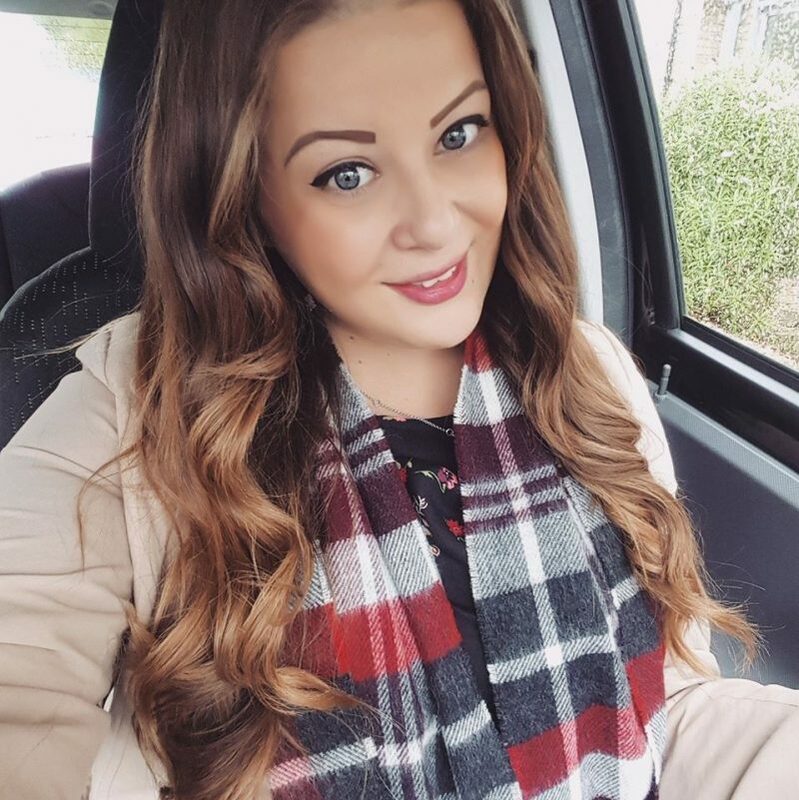 After hair extensions your hair style looking very gorgeous.The volume of your hair is better than the before.Thanks for this post.